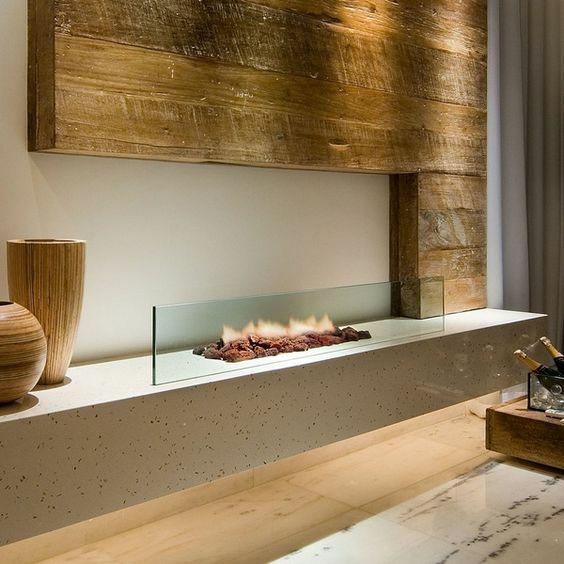 Modern Fireplaces can truly transform a space and double as a work of art. We love when form meets function to create the most interesting and sculptural space element. 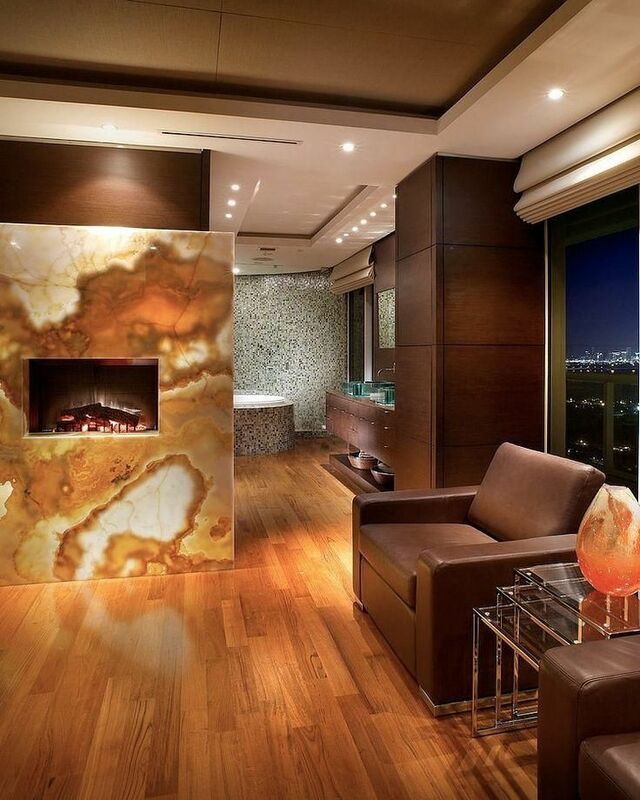 A natural back-lit onyx fireplace really warms up this space in more ways than one. The play on scale in this example is very interesting as well. The fireplace itself is quite small but the fascia around it feels grand. 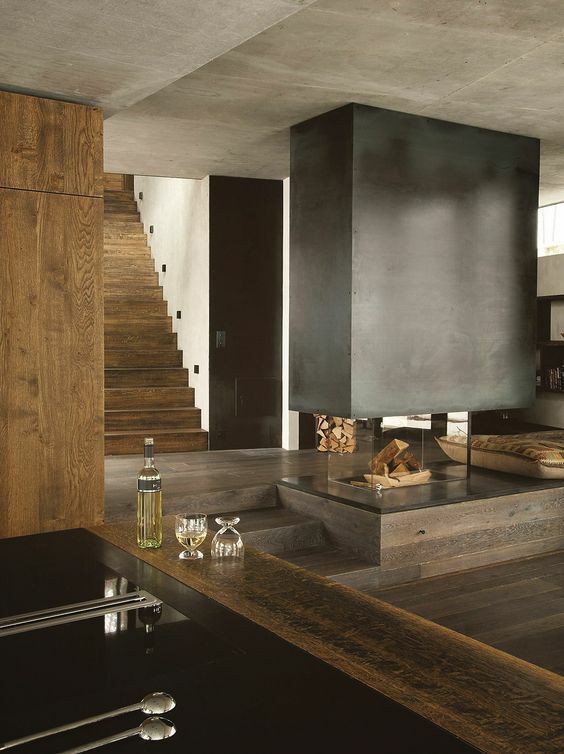 This industrial and masculine fireplace acts as a divider between spaces. We love that the space feels open but still transitioned by the fireplace itself. 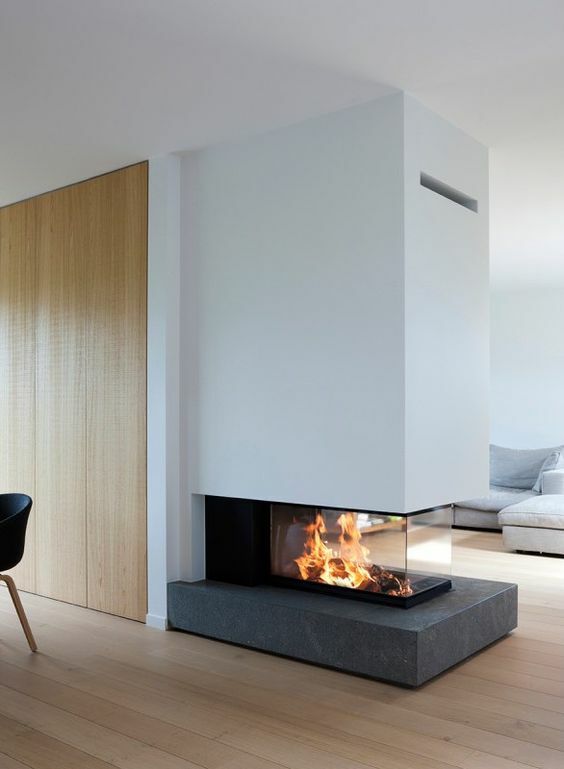 This modern fireplace has such an architectural quality to it. The beautiful floating quartz and the simple pane of glass are a minimalist work of art. 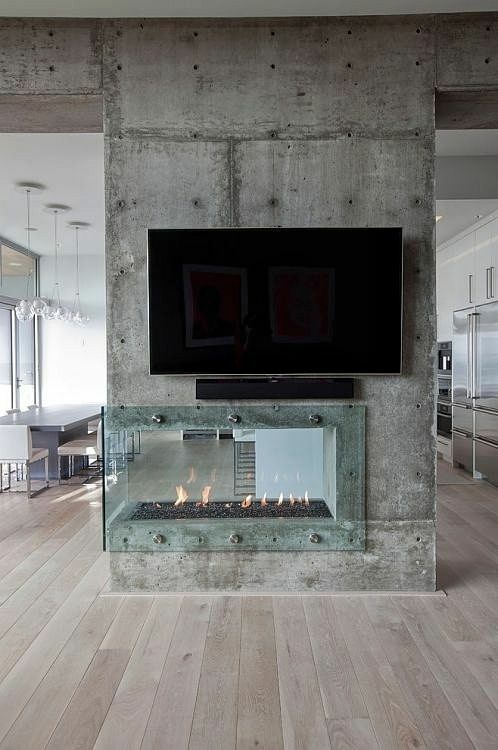 A very industrial style fireplace is displayed in this living space. The concrete, metal and glass offer contrasting textures and add interest to the room. The smooth white walls, warm polished wood and cool toned natural stone come together to create a sleek modern look. We love how much impact the fireplace adds to the space, although the design is quite simple.